Kohli scored 71 runs before Adil Rashid clean bowled him. 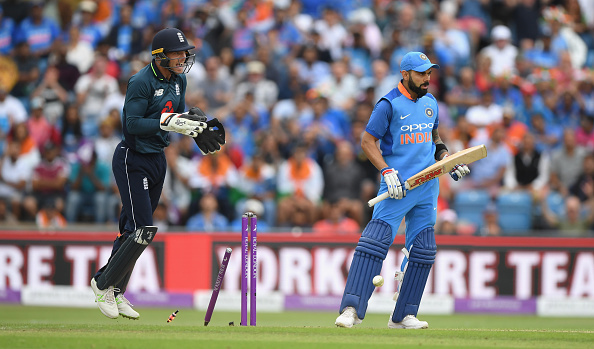 England and India are battling it out in the third ODI at Leeds with the series level at 1-1. England won the second ODI at Lord’s to draw level in the series after India had won the first match at Nottingham. England won the toss in the final ODI and put India into bat first. India didn’t get a good start as Rohit Sharma perished for 2 runs. Dhawan looked good for his 44 and added 71 runs with Virat Kohli who was looking in golden touch. Kohli was looking very good at 71 with 8 fours when a wonderful delivery from Adil Rashid foxed him and castled him. 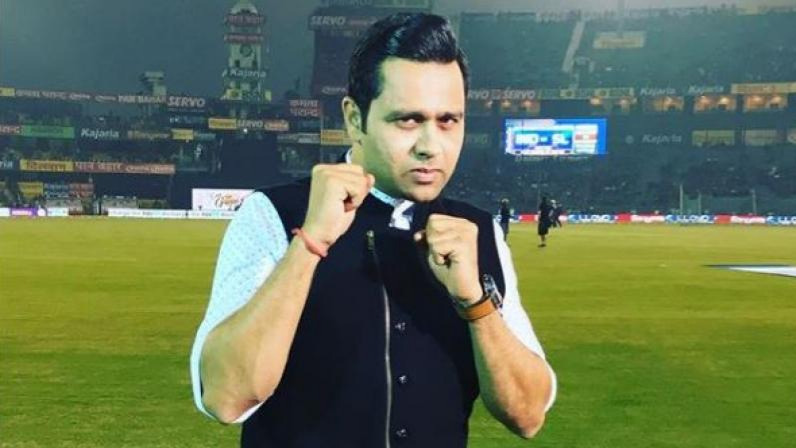 Rashid bowled a perfect leg break delivery which pitched on the middle stump and to which Kohli played back, misreading the length. The ball spun and took the off-stump out of the ground and left Kohli flabbergasted. He couldn’t believe that he misread the ball and lost his wicket. This is the first time in 200 ODI innings and 112 Test innings that Kohli was bowled by a leg-spinner.